I might have mentioned previously that I enjoy wine. Very much. I don’t consider myself a wine snob, but it is important to me that wines are served in their appropriate glasses and at the proper temperature. My mom is an ice cube abuser. She wants her drinks cold, even if it means she is diluting her drink. No, no, no. When she wants her wine a bit cooler, I catch her dumping in a few ice cubes. Makes me crazy. The solution? Frozen grapes. You know when you wash off a bunch of grapes and there always are a few rogue ones who are rolling around loose? Wash them off and pop them into the freezer. I make sure that they are in a single layer so they don’t stick to each other. Treat them just like ice cubes. 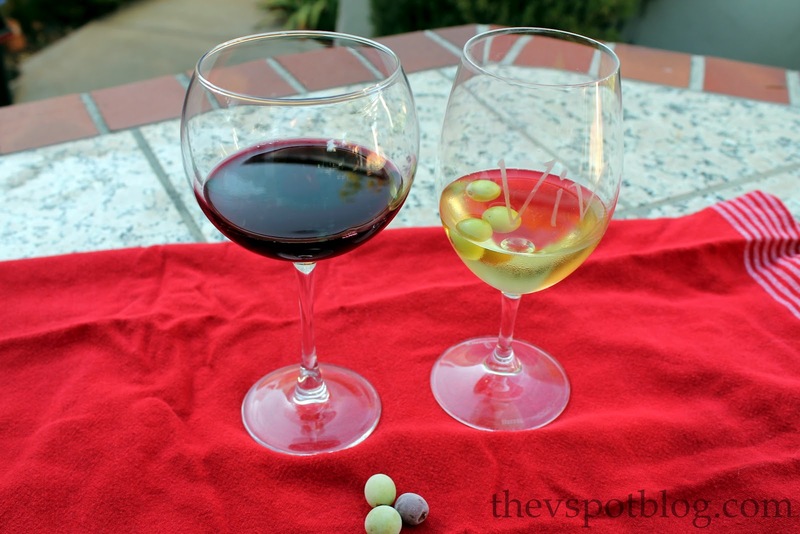 Pop them into your wine… It chills it without diluting it. Even red wine, which we all know should be served slightly cooler than room temperature. Well, sometimes room temp is a bit too warm, ya know? For some reason, the red grapes sank in the red wine. Weird, right? I think a science experiment is in order. They are so easy to keep on hand. 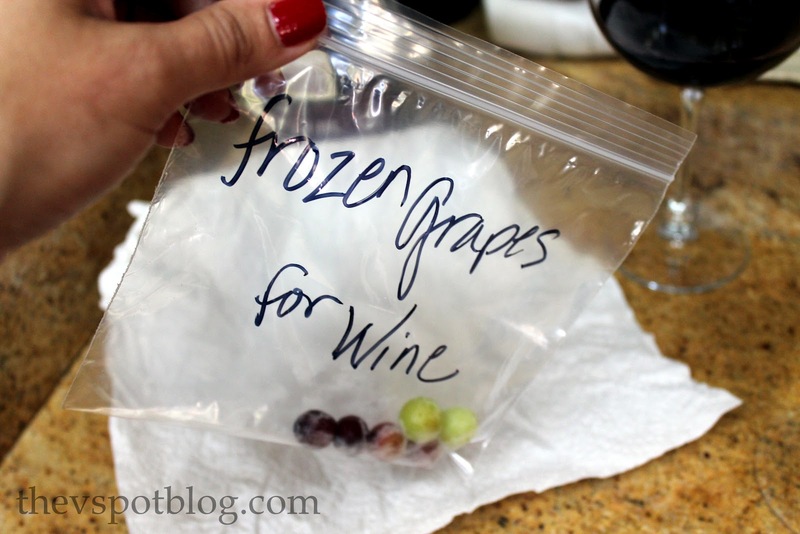 Just throw them in a plastic baggie and keep in the freezer. Yes, these work great for wine, but they would be wonderful “ice cubes” for any juice based drink that you don’t want to be diluted. Such a simple solution to a serious problem. 🙂 So! Red or white…? Great idea! 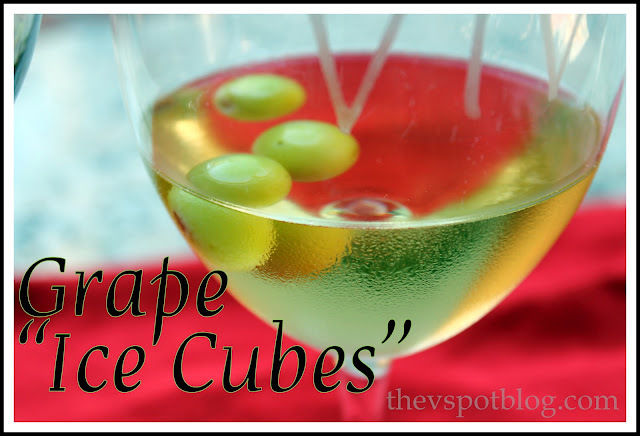 I need to do this with my pinot grigio. Only you would think of something this brilliant! I’m all over this!